LONDON (March 10): From Pakistan to Turkey, the world's largest independent oil trader Vitol is betting on a spike in gasoline and diesel demand in young and growing nations by snapping up filling stations that disappointed oil companies are prepared to sell. With the sharp drop in global oil prices, major integrated oil companies have been shedding assets, including the marginally profitable retail outlets, to cut costs. 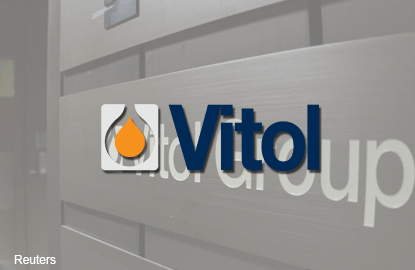 But privately-held Vitol, which trades six million barrels per day of crude oil and refined products, says these assets present an opportunity to strengthen its presence in end-markets and in up-and-coming hubs. This month, Vitol secured more than 23 percent of Turkey's retail market after it agreed to buy Petrol Ofisi from Austrian oil firm OMV for US$1.45 billion. "The volume we trade means integration into the distribution chain makes sense. Retail also allows you to participate in markets on an on-going basis, so it's not always ad hoc or spot," Chris Bake, a top Vitol executive, told Reuters. "It allows us to have different kinds of discussions with our suppliers," said Bake, who sits on Vitol's executive committee and is the chairman of retail unit Vivo Energy. The purchase will add another 1,700 outlets to Vitol's portfolio of 3,000 stations acquired through investments in the last few years in Viva Energy in Australia, Vivo Energy in Africa, Varo in central Europe and OVH in Nigeria. It has also consolidated its initial investments such as by buying Royal Dutch/Shell's stake in Vivo and Viva and its aviation business in Australia last year. The eastern Mediterranean is a major import market and Vitol sees Turkey as a good destination because of its proximity to transport routes from the Mediterranean, Black Sea and Red Sea. "With fuel and non-fuel retailing, we can optimize the system. We are able to look closely at how to streamline the assets and we are willing to invest capital. With Vivo, we have added around 100 new service stations per year," Bake said. Of its main trading competitors, only Trafigura is also vying for a piece of the retail pie. It has a large presence in Africa through its subsidiary Puma Energy and is set to acquire a large stake in India's Essar Oil. Glencore, Gunvor and Mercuria have favoured upstream or midstream assets. Last year, Gunvor bought a refinery in Rotterdam, Mercuria bought oil and gas marketing and distribution assets in the United States and Glencore invested in oil deposits in Chad. Vitol's retail investments fit in with its view that transport will be the major driver of fuel demand growth, with aviation demand to outstrip that for cars, which is slated to peak in about 10 years time. "Global demand for gasoline and diesel will peak but you can't apply the macro picture to individual countries that have high growth prospects like Pakistan where the Chinese are investing tens of billions of dollars in the CPEC (China Pakistan Economic Corridor), so demand will grow compared with developed economies," Bake said. Last year, Vitol increased its stake in Pakistan's Hascol Petroleum Ltd that runs around 450 service stations from 15 to 25 percent. Like Turkey, apart from its own growth prospects, Pakistan will become even more a gateway to the rest of Asia as CPEC will see the Chinese government invest US$57 billion, mainly in a network of rail, road and pipeline projects, to connect Western China to Pakistan's sea port of Gwadar.